1st sighting in Brighton, England – and Bella Basks By The Book on the Other Coast. – teamgloria, inc.
1st sighting in Brighton, England – and Bella Basks By The Book on the Other Coast. Posted on February 28, 2014 February 28, 2014 by teamgloria in people., places., things. the notes are Pouring in! we feel ever so overwhelmed and grateful. here’s the 1st sighting in Brighton, England! do you see how closely the book is nestling in between Ms. G. Elliot’s Middlemarch while looking slightly shyly over at J G Ballard (as many do)? *shivers* we’re Hono(u)red to be in such august shelf space. and may we introduce you to Bella? as you can see Bella is already very fond of the book. we had a feeling we might get some furry friends because the book’s cover has a little sheen to it which we thought Instantly was nice to brush up against on the way to visit the View over Manhattan or the city of your choice and Residence. 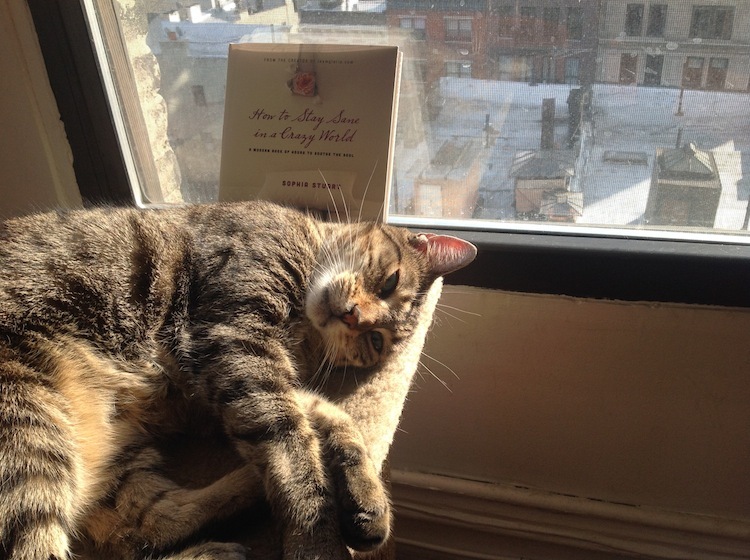 thank you to S on the Other Coast for the lovely shot of Bella Basking By The Book. do send pictures when it arrives at Your part of the world. it really is thrilling to see the book out there. you are all VERY very very Kind. signing off now – who-we-are-in-RL needs the laptop to as her editors in England and CHINA have just sent notes and she must Re-Write as all Writers Must. Previous Post #howtostaysaneinacrazyworld hanging from a Chandelier somewhere in the glittering canyons of manhattan. Next Post 1st sightings in Continental Europe! Bella the beautiful adding her wisdom to the shelf. Biblical floods? Is the rain that heavy? actually very exciting and L.A looks fresh as a new pin this morning as a result. it’s all Very Soggy here. :( for the Oscars but Yay for the land. 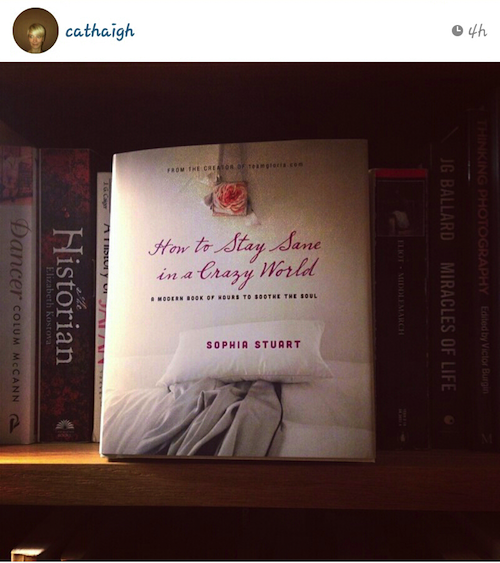 At Home in a Crazy World – it’s so cozy! And I hear the day dawned in Manhattan at a freezing ten degrees… Best to cuddle up with a good book. it seems the Rain Storm has now passed over here – how is it with you? I kid you, not. Look, it’s in the paper.